When parents look for new family-friendly activities, it’s fair to say that dirt bike riding isn’t something which always springs to mind. 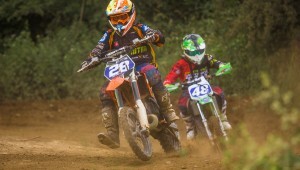 Even for families who enjoy adventure and excitement, dirt bike riding doesn’t get a mention, largely because it can appear like nothing more than professional riders racing around a track. If you and your family enjoy adventure and interested to try a new activity, Synthetic Solutions has a post with some information about just how family-friendly dirt bike riding can be. The type of dirt bike riding which you see on TV is just professional racing. That’s why they do little more than race around a track. However, if you were to head to a dirt bike track or park, you would discover an entirely different activity. Along with dirt bike tracks, these spaces offer a range of social amenities, such as shared cooking facilities, picnic areas and shaded eating places, play equipment, riding lessons, and many others. As you can imagine, this type of atmosphere is perfect for a family who is looking for a day out and enjoy meeting new people. Dirt bike riders spend much of their riding time standing on the bike’s pegs, resulting in a serious leg workout. Maintaining balance during tight maneuvers requires core strength and engagement. To ensure you stay on course, your arms and shoulders are engaged. While it isn’t comparable to a session at the gym, it certainly, it’s certainly a physically demanding activity. Click here to buy 10W-40 Synthetic Dirt Bike Oil and, with a synthetic oil change, keep your bike in good working order. To find out more about the benefits of a synthetic oil change in Raleigh, NC or the benefits it can bring to your other vehicles, speak with a friendly expert at Synthetic Solutions by calling (888) 450-2658 or check out the online store. Washing and drying the bike. Cleaning out the air filter. Performing a synthetic oil change. Cover the bike and store it out of the elements. These items are basic enough that your whole family, including your children, can observe and perform, along with being great ways to keep a bike in good running order. Performing these also helps you to teach your children about the power of responsible vehicle ownership, showing them that spending time maintaining a vehicle means that it will be ready the next time they want to use it. Some people can relax their mind and body through a yoga, pilates, or even tai-chi session. Other people find that spending a day shopping does the trick when their brain becomes too busy. However, others need more stimulation in order to disengage their brain from the week’s stresses. Riding a dirt bike requires total focus and attention. If you let your daily stresses make their way into your head on a dirt bike then you’re likely to find yourself with a face full of a tree branch or lying in a pile of mud. For this reason, many people find that riding is just the activity they need to relax their mind and enjoy some peace. If you still aren’t sure, take a trip to a track or park and see for yourself. It could be the new activity you and your family have been looking for. If you do take up the activity, be sure that you keep your bike in good repair and use only high-quality engine lubricants. Speak with Synthetic Solutions at (888) 450-2658 and find out how a synthetic oil change can improve the performance of not only a dirt bike but also the truck used to tow it to the track, along with the daily sedan.